aerodigestive tract this is often as a result of chronic exposure to carcinogens in cigarette smoke. either simultaneously or sequentially in the same epithelial surface. 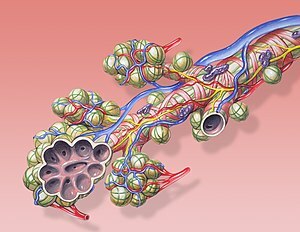 the epithelium is colonized by a clonal population of cells that are at increased risk of progression to cancer. using amplicon boundaries as markers of clonality. 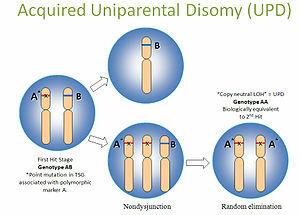 subsequent cancers are clonally related. the degree of 3q amplification and the internal structure of the 3q amplicon varies from lesion to lesion. Finally, in this small cohort, the degree of 3q amplification corresponds to clinical progression. Conflict of interest: A patent for molecular copy-number counting has been applied for by the UK Medical Research Council. Paul Dear is named on the patent application..
particularly in cancers of the aerodigestive tract . Three possible mechanisms for field cancerization have been mooted in lung cancer. as a result of the common carcinogenic insult. In time, one or more of these foci may progress to cancer. molecular divergence results in subclonal populations that may or may not progress. In the third explanation an established cancer spreads to form multifocal clonal tumours. from a single individual in lung cancer and pre-invasive bronchial dysplasia. is more suggestive of clonality than LOH patterns alone. indicating epithelial colonization at a pre-invasive stage. in 77% of individuals the lesions were clonally related. the amount of available tissue for analysis is significantly limited and the DNA is of poor quality. consistent with recent results from other groups. a subsequent cancer appeared to share amplicon boundaries. anatomically distinct parts of the bronchial tree in the same individuals. subclonal populations emerge with varying molecular characteristics and clinical outcomes. there is incremental 3q amplification in those lesions that do progress. an epiphenomenon reflecting genome instability. a critical stage in the development of squamous lung cancer. in the pathogenesis of SQC. Whether SOX2 is the main target of this amplification or one of a number of target oncogenes that are co-amplified remains unclear.